A good under $100 tent is a rare thing. I read gobs of reviews and websites, etc. etc. etc. 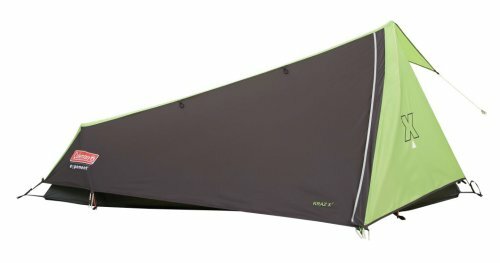 about various tents and ended up just recently getting a Eureka Spitfire from Amazon $89 free shipping. I am actually very impressed with the quality of this thing. I just seam sealed it. My junky scale shows it at 3 pounds, but the scale is not very accurate. The size may be an issue with it. I am 5'4" and room is not a problem. However, I don't know about a 6'1" person. Of course, tarptent will be the most "treasured" tent by a lot of folks, but they are a bit over your listed budget. But, it is a good tent, it's very light, and it's under $100. Where will you be using it? You might look into a hammock or a tarp too. By far your best bet is a used tent. Do your research first. There are quite a few used Tarptent Contrails around because a lot of "gotta have the latest tent" folks have bought the newer Tarptent Moment. However, I personally would pick the Contrail. If you must have a new tent, the Six Moon Designs Skyscape Scout is only $25 over your budget. It was designed for tall people! Most tents under $100 new won't hold up and will leak. However, Coleman backpacking tents do pretty well (in my limited experience) and you might find one for $100 or less. Test with a hose in the back yard and seal the seams if they leak. Don't expect it to be lightweight. I used one in southern France once and it held up just fine through a violent thunderstorm followed by steady heavy rain that caused floods all over the region. Later on my son#1 used it in unrelenting rain in the Canadian Rockies. It weighed over 5 lbs. dry, though. 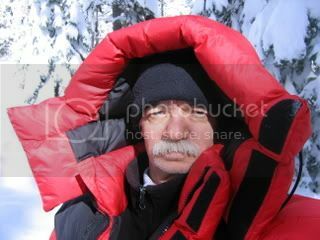 The total will be about 20 oz., making this probably the lightest as well as the cheapest solo shelter. With the 8' x 10' tarp, there will be enough room you can fit in a dog or possibly another person without too much trouble. Or you can use a cheaper (but considerably) heavier tarp. Without knowing how you will use the tent, it's really pretty difficult to give a good suggestion. Can you tell us more about your backpacking plans? You can use $1 stakes from REI and either mason line or another cheap 2mm line. Then I am guessing your not just looking for a sub $100 tent. You are looking for a sub $100 tent that is better than lugging the tent you use with your son. So what tent is this new purchase competing against? OregonMouse is right about Coleman tents. I visited our local "Camp Coleman Outlet Store" yesterday and they had several nice backpacking tents in your price range. Here's one that's under $100. The manager there told me they'll be having a "Tent Sale" next week. (Not necessarily a backpacking tent sale, but a big tent in the parking lot with stuff on sale). He said they'd have some really good deals happening. During the Christmas shopping season they have some pretty incredible deals. I don't know if there is a Camp Coleman store near you, but if there is it's worth checking into. If you can sew, the kit for the solo quest bilgy is only 114 including shipping. I have the two person version and I like it. Its 1 lb 7 oz. Usable floor space is 37X93. I know its a little over your budget, but it will be alot lighter than most of the other cheap tents. I agree that we need to know what tent you use when going with your son, especially how much it weighs. There's no point in getting a solo tent that weighs more than the 2-person tent you already have--save your money and take the bigger tent! In your area, for 3-season use, the tarp setup I suggested should work fine! After my last trip and spending 12hr a day in my smaller bivi tent and then waiting for everything to dry I have decided that a tarp 8x10 or something like a Appy Trail will be my choice. No more small tents. The Appy Trail is in your price range. Some peopole live life day by day. Try step by step. There's an REI Quarter Dome T1 for auction on Ebay now (2 days to go) weighs just under 3 lbs and easier to get in and out than the Chrysalis. I'll chime in with another vote for one of the Eureka's mentioned. I picked one up about eight years ago. Its only seen sporadic use but it has held up under some pretty awful downpours. Not sure on the weight, truth be told. 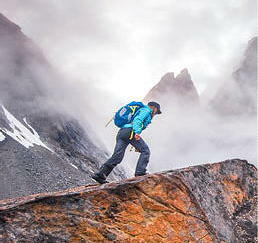 I second that you should consider the Alps mountaineering gear. Very good price to performance ratio. I agree with OM-look for something used. I used a SD Flashlight (pre clip model) in New Zealand, which has weather like Northern Cal and it worked fine. I bet you could find a used one for around $100 on Craigslist or eBay if you are patient. A solo tent or bivy in bad weather is going to be a miserable experience IMHO. all have pros and cons but the spitfire seems to be the only one within my small budget right now what about the alps zepher 1 anyone tried that one and if so will it fit a guy 6-1 ?? Z1 on Amazon at under 100 at the moment. Haven't tried that tent, but specs look good for 6'1" I have other Alps gear and it is bullet proof (a bit on the heavy side though). I know you have already thought about this, and are looking for something else. But, personally, I would just use the Cloudburst. A sil tarp with bugnet and ground cloth won't be that much lighter, although it is more versatile. Good luck. I would also use the Cloudburst. Check weights! I'm sure you'll find that your Cloudburst is no heavier any of the $100 solo tents you are considering, and you'll save $100! The Alps Zephyr 1 is even heavier, 3 lbs., 10 oz. (58 oz.) for tent and fly weight--which definitely omits poles, stakes, stuff sack and probably guylines. Your Tarptent Cloudburst 2 weighs 38 oz., stakes, poles, guylines and stuffsack included. Maybe 39 oz. after seam sealing. Save your money and your back/knees/feet and use the Cloudburst you already have! You'll enjoy the extra space, too! I just looked up the Eureka Spitfire 1 on their website: "Minimum weight" is 2 pounds, 12 oz. (44 oz.). If you (OP) can find the discontinued Eureka Spitfire Ultralight it is worth considering. It is a discontinued model and though it listed higher, I got mine for $99 (I wish I had bought more than one). With lightweight pegs and the lightest possible plastic film groundsheet (or none) and a lightweight sack (pack the poles separately), this can come in at 2 pounds 8 ounces total. While not lightweight by today's standards, this is at the low end of the mid-weights. I like it very much (though I almost always go much lighter). It pitches quickly and easily, it is reasonably roomy for one and has some vestibule storage. It does have a few idiosyncrasies that kept it from selling well. The pegs/lines have to be fine-tuned carefully to keep the relatively shallow bathtub floor sides high enough to avoid ground water flow and rain splash. You do this adjustment at the end, with all your gear under cover and no rush. The foot struts push on the fly fabric with no reinforcement, so there can be wear and tearing if the fly flaps (which it will in even moderate wind, another issue). You can do your own reinforcement or I have been told if you talk to Eureka they will arrange at no charge for you to send it to them to have reinforcement patches installed. The tent has design defects and really does not pitch taught, no matter what you do. So you do get flapping in the wind. But all things considered this is a great value tent, a full tent/fly for those who want to go somewhat light but are not yet ready to go with one of the tarp/tent hybrid lighter setups.